A couple of Michigan boys skating in Texas have received some big recognition from the NAHL today. 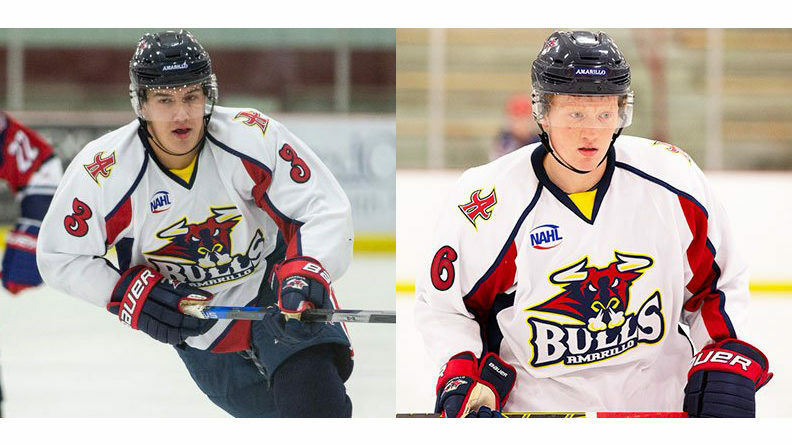 Romeo native Logan Jenuwine and Monroe native Jake Willets, teammates on the Amarillo Bulls, were named the league’s forward and defenseman of the month, respectively, for January. Jenuwine, a former Mr. Hockey winner after starring for Romeo High School, posted 20 points in 10 games during the month. The 6-foot-2, 195-pound forward leads the NAHL in scoring with 68 points in 40 games. Willets, a St. Mary Catholic Central product, led all NAHL blueliners in scoring with 11 points and a +5 rating. The 6-foot-2, 189-pound defenseman has 25 points in 39 games this season.